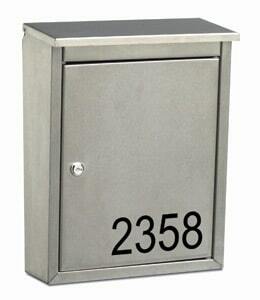 The Metropolis Locking Wall Mount Mailboxes pairs high style with high security. 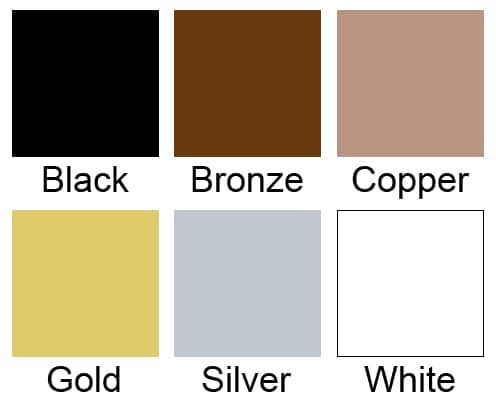 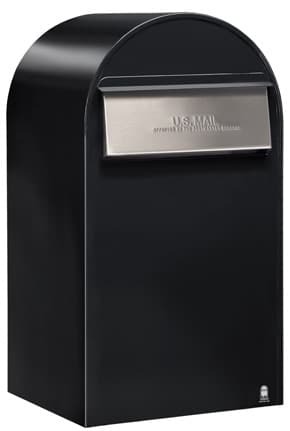 Roomy design provides ample mail storage, while 20 gauge stainless steel construction guarantees a USPS approved wall mount mailbox that lasts for years in any climate. 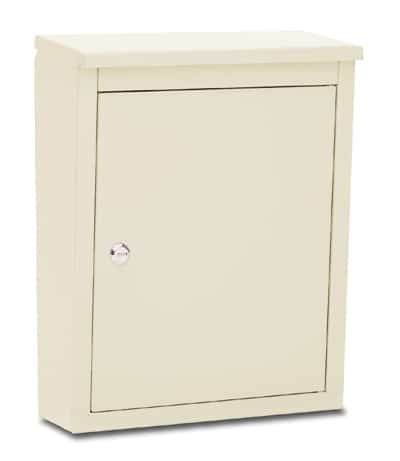 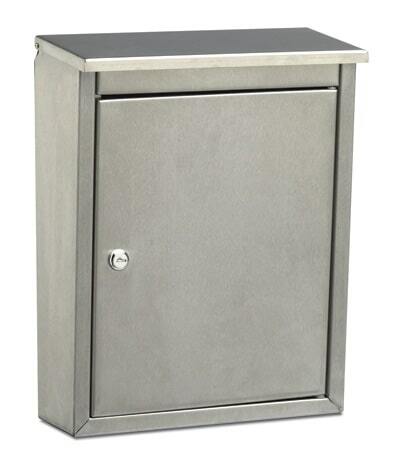 Mail delivery slot is protected by a flip top hood that comes somewhat forward so wall mount mailboxes can be fully opened when installed on a wall or fence. 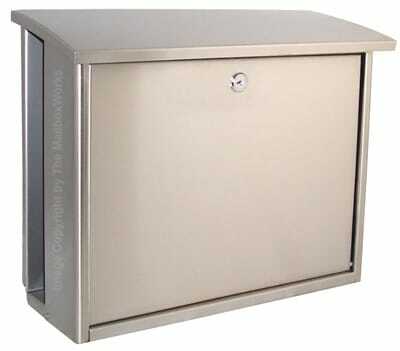 Access mail easily; swinging front door comes with a heavy duty stainless steel cam lock and 2 keys. 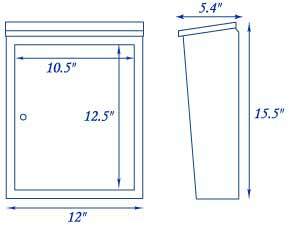 An optional non-locking thumb latch accessory is available to replace lock. 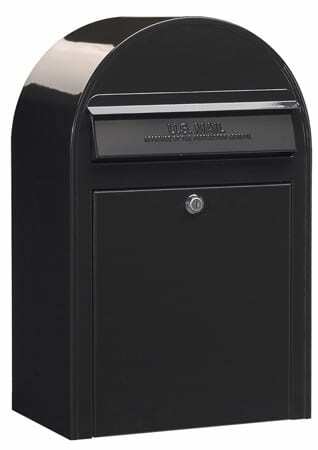 The Metropolis features a sleek, satin finish.